WARNING: This is a test site. Data and tools here are under construction, have not been quality reviewed, and are subject to change at any time. 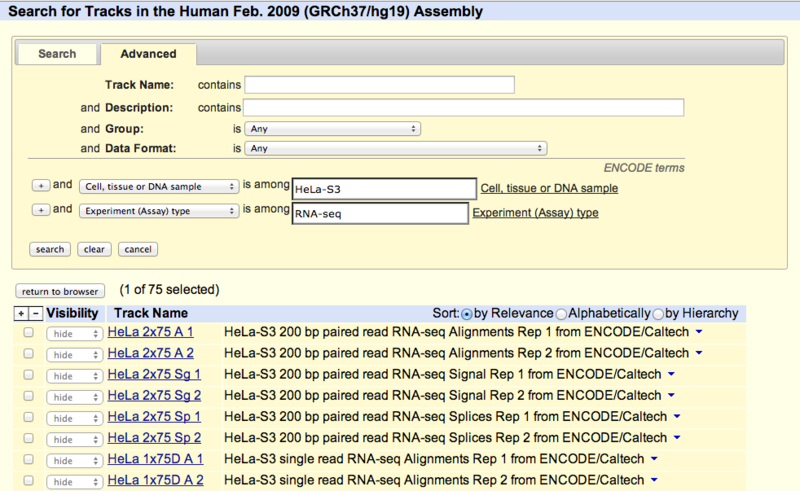 For high-quality reviewed annotations on the UCSC production server, visit http://genome.ucsc.edu/ENCODE. 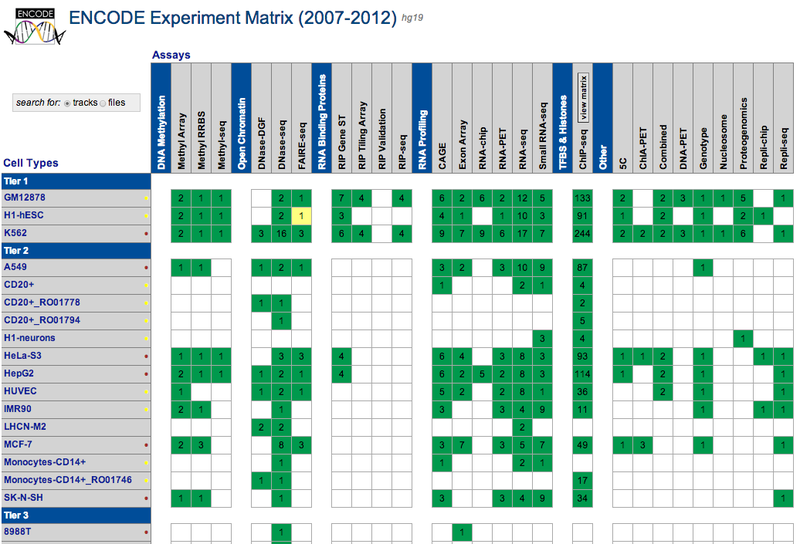 UCSC coordinated data for the ENCODE Consortium from its inception in 2003 (Pilot phase) to the end of the first 5 year phase of whole-genome data production in 2012. 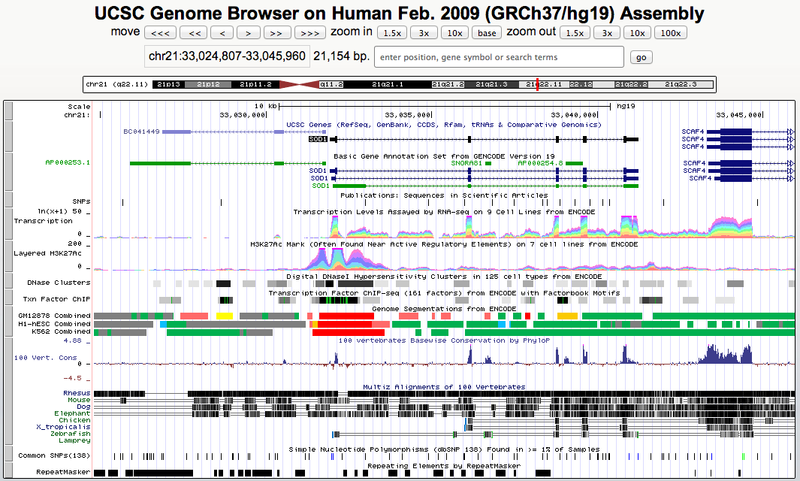 All data produced by ENCODE investigators and the results of ENCODE analysis projects from this period are hosted in the UCSC Genome browser and database. Explore ENCODE data using the image links below or via the left menu bar. All ENCODE data at UCSC are freely available for download and analysis. ENCODE results from 2013 and later are available from the ENCODE Project Portal, encodeproject.org. 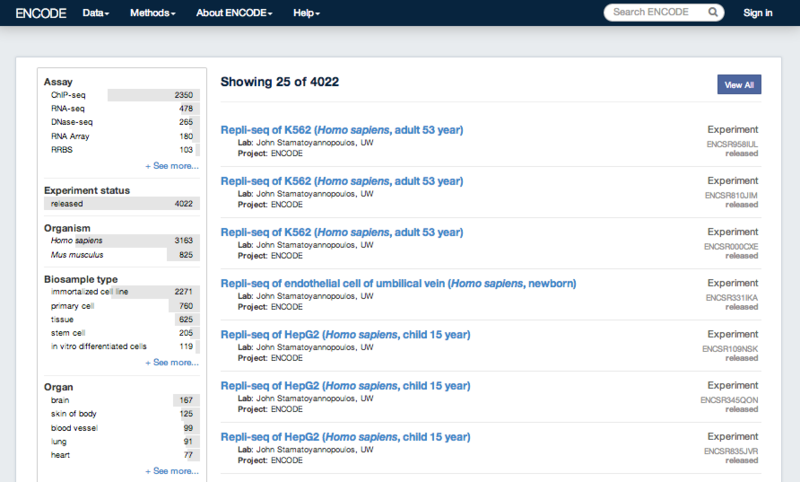 The ENCODE Project Portal also hosts ENCODE data from the first production phase, additional ENCODE access tools, and ENCODE project pages including up-to-date information about data releases, publications, and upcoming tutorials.